I’m on day four post publication — it’s pretty awesome. I’m currently at the Midwest Writers Workshop in Muncie, IN (and just had scrumptious Thai food with the amazing Janet Reid–yes, be jealous). It took me two days to come down from the adrenaline rush of my launch party (where we sold out of books!) and I might be checking my Amazon ranking more than is healthy. Sitting in my quiet hotel room after the chaos of the last few days gives me some time to reflect on this whirlwind journey that I’m honored to share with Shelly, Colleen, Sona, and Karma. Our year may be coming to a close soon, but we’ll always be Debs for life. 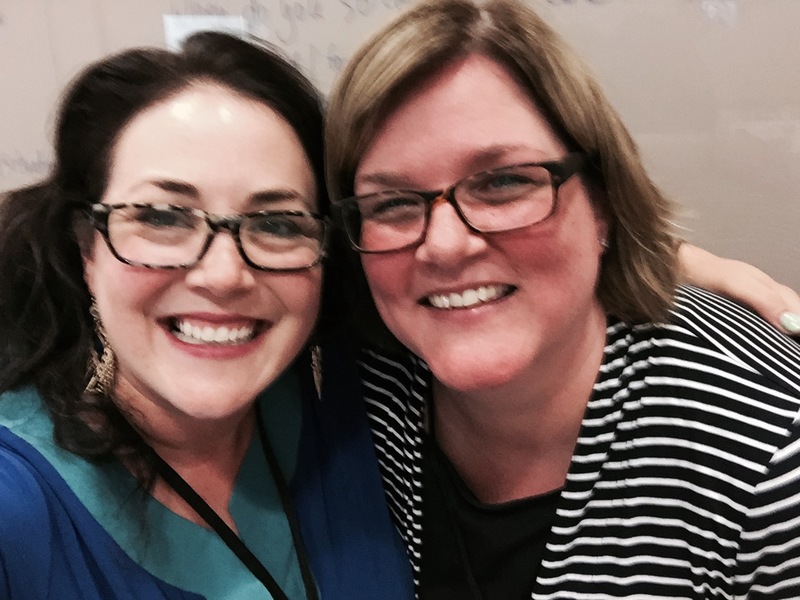 Speaking of, I chatted with the lovely Deb Alum, Lori Rader-Day about books and debuts and blurry selfies. And now, it’s my turn to take our interview! If something isn’t working on a person’s computer or phone, the moment I move closer to the glitching object, it goes back to normal. It isn’t 100%, but it’s often enough that it’s a little creepy. Spiders. I’ve gotten better as I’ve gotten older because of my children, but anything that’s big enough to crunch when I step on it or smack it with a shoe (and it will be killed) is unacceptable. It took me a long time to even look at pictures and if I’m not prepared, I freak a little. Don’t even get me started on the really big hair ones. They are a hard no for me. After spiders, I have an odd fear of calling Time Warner Cable to renegotiate the cable bill. I’ll be at Books by the Banks in Cincinnati on October 17 (which I’m very excited about because I’ll get to meet Rainbow Rowell), and I’m in revisions for book 2 with the hope it will be out next summer. I’ve worked A LOT in different restaurants and met a lot of quirky people, but the oddest job was when I did political phone surveys for the St. Norbert College survey center. I would get a stack of phone numbers, a script, and a phone — then spend 3+ hours calling numbers, hoping someone would take pity on me and answer the questions. To this day, if I get a legitimate survey group on the phone, I will answer the questions, but it’s also why I hate talking on the phone. My husband is my first reader. At first glance, he doesn’t seem like the perfect candidate — he reads 99% non-fiction, is a dude, and mainly addresses typos in his written comments. But when we start discussing the book and what works and doesn’t work, his feedback is almost always spot on. 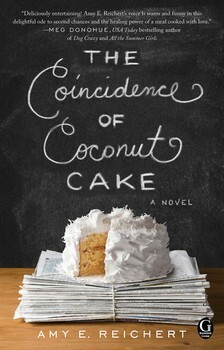 GIVEAWAY: Comment on this post by Noon (EST) on Friday, July 31st to enter to win a copy of THE COINCIDENCE OF COCONUT CAKE. Follow The Debutante Ball on Facebook and Twitter for extra entries—just mention that you did so in your comments. We’ll choose and contact the winner on Friday. Good luck! ← I’m Coo-coo for Coconut Cake! Love your interview – very clever! And of course I am absolutely delirious about your book Coincidence of Coconut Cake, the giveaway, and did I mention Coconut Cake? I will mention it again on Facebook and Twitter. Thanks for the opportunity. Thank you so much, Carol!!! You rock! Thank you, Rhonda!!! Not gonna lie, it’s nice to see! Okay the problem with that delicious cover is that it makes me hungry for cake! HOLY CRAP!!! That’s incredible!!! Woohoo readers and libraries! The book looks fantastic and I would love to win a copy. Really enjoyed your interview and must say that I agree with you on spiders. I see absolutely no reason for them to even exist unless its to scare people like you and I.
thanks, Susan! Agreed, there is no need for spiders. I gain weight every time I see this book, man, does it look good! Amy– I’ve read such fabulous early reviews of your debut. Congrats! It looks delicious — both cover & content! We differ in two ways: I have the exact opposite effect on electronics: they go wonky when I’m nearby. And I love big, hairy spiders (desert tarantulas all over near my desert home). Melissa, I cringed just thinking about all those hairy legs. Eep! If you make the cake, you’ll have to let me know how it compares to your grandma’s. Congratulations!! I love to read new authors and look forward to reading. I follow in Twitter.